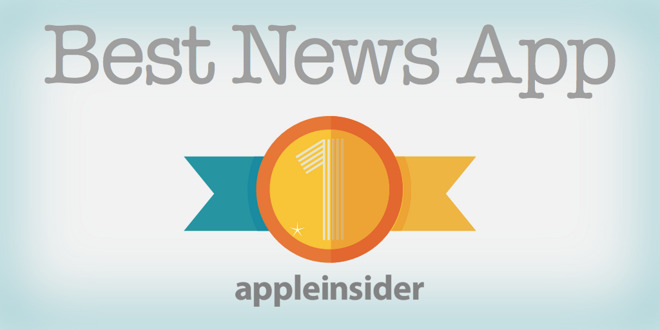 We asked our AppleInsider readers to vote for the best news reading app for iOS. 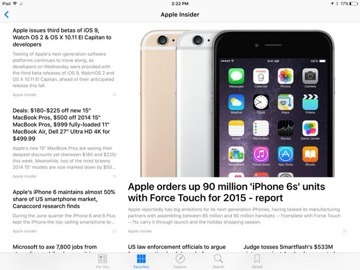 The winner is the stock Apple News app that comes built into iOS 9, with competitor Flipboard coming in second. 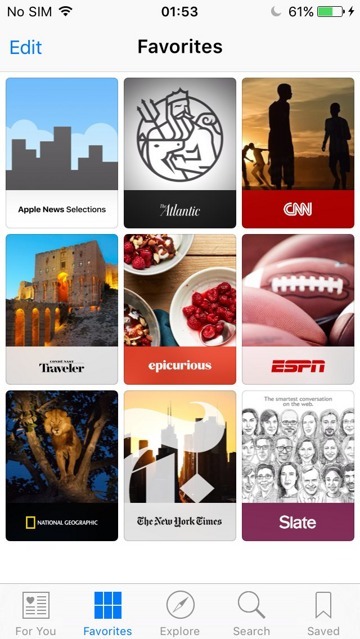 Last week we asked you to weigh in on your favorite news app for iPhone and iPad. You nominated: Twitter, SmartNews, Notify by Facebook, Google News, Flipboard, Breaking News, and Apple News. 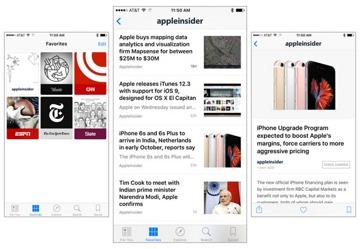 The winner of the AppleInsider Reader's Choice Award goes to the stock News app that's built in to iOS —Apple News. Two contests in a row, it was a resounding victory for the Apple-created apps, with Apple's stock Notes app winning last time. 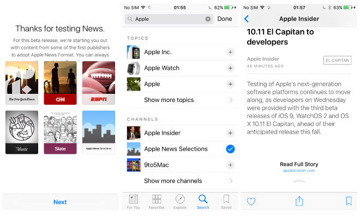 Apple's News app was first released with the iOS 9 update in September. The biggest knock against the stock News app is that it's availability is presently limited to the U.S., U.K., and Australia. Even if you live in one of these countries with access to the News app, Apple shuts off your access when traveling to China, for example. We have detailed many of the features that News brings. 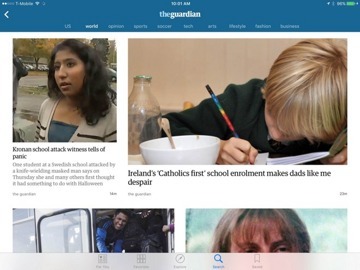 In fact, it is very similar to the our runner up, Flipboard. Both share a magazine-inspired layout with large images and the ability to follow topics. Many users pointed out that the lines are blurring between what constitutes a "news app" and what is simply a glorified RSS reader. We decided to include them all, as different people use different types of applications to source and read their news. Finally, Feedly, Zite, BBC News, and News 360 weren't initially nominated but were written in by enough voters to make the final list.